In many ways, analytics are what makes the world go ’round—particularly in the data-driven environment that we’re now living in. According to Forbes, more data was created during the last two years than in all of the time in human history leading up to it combined. That’s a terrific position to be in if you’re a business trying to learn more about your customers, but it’s also an overwhelming time for people who were never prepared to make “number crunching” a full-time job. As a result of this massive influx of data, analytics services (and particularly Google Analytics) have become an invaluable tool for people, content marketers in particular, over the last decade. This is particularly important for content marketers, as the “where, why, and how?” of it all are often used as the basis of important decisions moving forward. 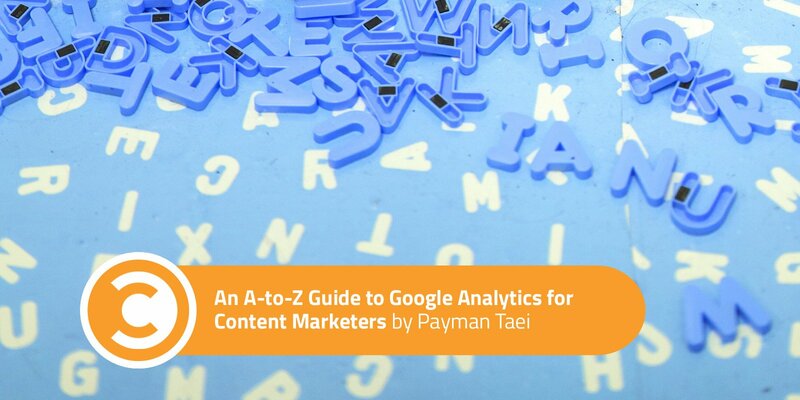 Reading the numbers captured in Google Analytics and paying close attention to the story they’re trying to tell you are the best ways to not just make data-informed decisions, but to continually improve their marketing performance across the board. Break things down a bit further to get a better idea of just how essential services like Google Analytics have become in the modern era. Say you’ve got an idea for a particular piece of content, like an infographic about charitable contributions and other community service your business has conducted, using tips from free resources such as the Beginners Guide to creating shareable infographics. You read on the internet that this type of visual content is very powerful these days, and you’re particularly interested in the social media benefits that you can expect to enjoy. Without analytics, you would create that content, put it out there into the world, and essentially hope for the best. The data would come back, you would either accomplish your goal or not, and you would repeat the process, making adjustments along the way. The problem with this is that “whether or not you accomplished your goal” is only part of a much larger story. It’s the part at the end, entirely missing all of the meat that led up to it. With Google Analytics, you can formulate a hypothesis about your content performance: “My audience loves infographics, and I think they’re going to love this one, and my proof will be in an increased level of social media shares.” It’s an oversimplified example, but you get the point. You can then determine a question to support that hypothesis—namely, “Why is this infographic going to be popular among my target audience?” or, “Why is this the right decision to make at this particular moment?” Then, once that content is published, you can create a report to answer your question(s) with real, actionable data. You can see exactly what channels your infographic performed well on and which it didn’t, taking the time to learn as much about what actually happened as possible. The point is that the insight provided by a tool like Google Analytics is the kind you’re not going to get anywhere else: actionable. It’s the scientific method in its purest form: You have a hypothesis, you test that hypothesis, and you find out irrefutably whether it was right or wrong. 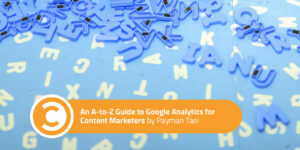 The following infographic, “Google Analytics: The A-to-Z Guide for Content Marketers” by Orbit Media Studios, was made created using Visme and designed to help you understand more about just what Google Analytics can do for you in terms of how it measures things like acquisition, behavior, conversions, and so much more. It’s intended to give you a deeper, more meaningful explanation of one of the most powerful weapons that content marketers have ever known, so that you can finally start wielding it to your full advantage as quickly as possible. Payman Taei is a designer and founder of HindSite Interactive, an award-winning Maryland-based digital agency providing web design and development. His passion for democratizing design has led him to develop Visme, a do-it-yourself platform allowing non designers to translate boring data into engaging presentations and infographics.